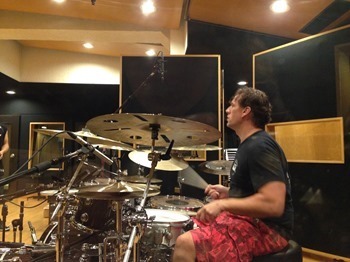 Thomas Lang, the spectacular icon of the drum world, set his feet again on the land of the rising sun on July 12, 2014. 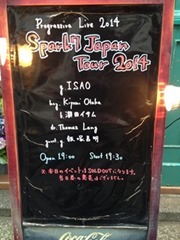 Thomas Lang was invited to Japan to take part in a recording session and tour with the instrumental band SPARK7 led by 8-string guitar player ISAO. MUSE ON MUSE took this opportunity to conduct a report on Thomas’ activities during his stay in Japan!! 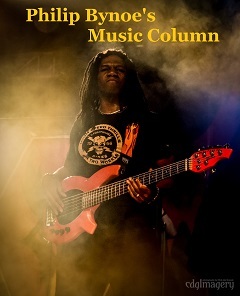 Not only does Thomas play in his own band STORK and take part in numerous studio recording sessions, he also busily travels around the world as a clinician too. Added to that, Thomas also runs his own record label and drum camp “Big Drum Bonanza”. Thomas landed in Tokyo straight after the drum camp and went into the studio to record with ISAO and SPARK7 the next day without much time to rest following his arrival. 8 tracks were prepared for Thomas to record for the upcoming SPARK7 album, scheduled to be released this coming fall. Considering Thomas’ busy schedule and obviously going through jet lag, ISAO and the studio staff expected the first day of recording to be a slow one. But that really didn’t seem to be the case for Thomas Lang…ISAO and company were awed when Thomas finished the first song within minutes. Now, let me just remind everyone that SPARK7 songs are NOT just simple rock instrumental songs. 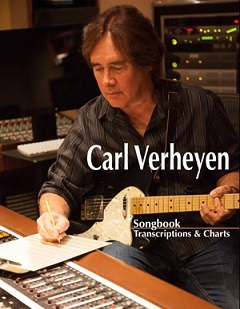 Many of the songs are written in odd time signatures and there are tons of highly technical parts and phrases as well. Nevertheless, it took Thomas a mere 2 takes (3 at the most just to give the engineer and producer more to choose from) to finish each song. Scheduled to finish 2 drum tracks for the first day, ISAO and staff were overwhelmed with 3 satisfying drum tracks done. 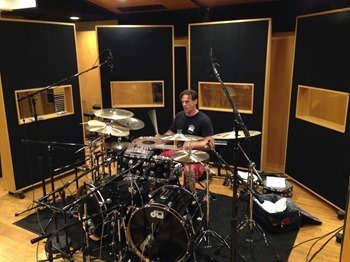 Thomas Lang definitely proved himself as a top-notch drummer in the industry. It took him no time to deliver quality drum tracks, and each and every track not only had precise time, but also had a great groove, as well as tons of intricate fills, double bass licks, and all that you would expect to hear from the mighty Thomas Lang! Day 2 at the studio proceeded similarly and ISAO ended up adding an extra song for day 3, after seeing Thomas whiz through the songs way ahead of schedule. Added to the SPARK7 songs, Thomas also did several video shoots and photo shoots between songs. Despite his busy schedule, it was pleasing to see Thomas always in a very happy and easy-going mood. It was definitely astounding for the Japanese staff to see how quickly Thomas lay down the drum tracks, as you do not see this in Japanese studios that often. To that, Thomas explained, “In LA, when we work in studios it’s normal to track a full album of 12 songs or more in 1 day.” Thomas successfully proved that his drumming and work was top class, with his quality performance, and efficient work speed. Following 3 days in the recording studio, Thomas and SPARK7 had a day in the rehearsal studio to prepare for their short tour starting the day after. The first show for the tour took place in Kichijoji, a suburban town in the outskirts of Tokyo at a club called the Silver Elephant. The Silver Elephant is considered as sacred ground in the Japanese progressive scene. The SPARK7 lineup for the night was ISAO on guitars and Thomas Lang on drums, along with Kiyomi Ohtaka on organs from the renowned fusion band Caseopia, Isamu Takita on bass, and Masaaki Iizuka from GRANRODEO as guest guitar player. The sold out show started out with a song from one of ISAO’s other projects CUBERAY, also titled “Cuberay”. The song features a lengthy drum solo within the song, where Thomas Lang slowly builds up a thrilling “full course” of technical drum adventure, to which the full house immediately exploded in uproaring applause. The band continued on to play a satisfying 90-minute set filled with highly technical performances in a collection of quality instrumental music. 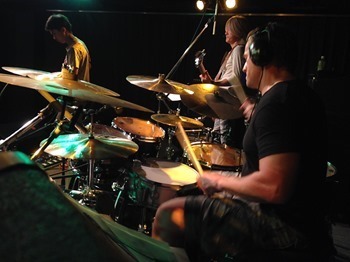 Thomas Lang didn’t hesitate to unleash his technical yet powerful drums to the Japanese audience. SPARK7 performed some of their new material from their upcoming new album featuring 8 string guitars, as well as a collection of their previous material, plus a cover version of RACER X’s “Technical Difficulties” as their encore. The band headed on to play in Hamamatsu and Osaka the following evenings. Both shows were well received by the local audience. The show in Hamamatsu featured a guest appearance by 17 year old guitar hero, Seiya Ohta, and former David Lee Roth Band guitar player Toshi Hiketa guested on the Osaka show. 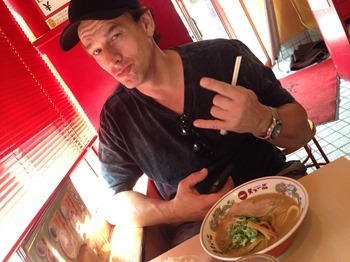 Despite the tight recording and touring schedule, the master of drums always took the opportunity to take in whatever he could from the Japanese culture too. Thomas has obviously been to Japan numerous times, but he didn’t let the Japanese food culture go past him this time either. Everything from Japanese curry rice to ramen noodles, the famous okonomiyaki from Osaka, and even some raw beef at a restaurant in Ginza seemed to please the gourmet hungry drummer. 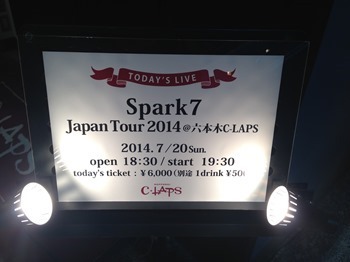 After playing in Osaka, SPARK7 headed back to Tokyo to perform their final show of the short tour. 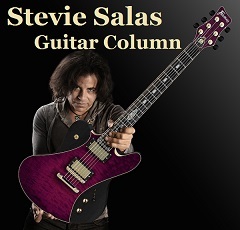 The band recruited Takayuki Sakamoto for bass duties, as well as featuring guest guitar player Kelly Simonz and 9 year old guitar wizard KEIJI. (Check this link to see KEIJI perform a RACER X cover with SPARK7: http://youtu.be/4UGB7aYBAdM ). The show also featured a guest appearance by theatrical/musical group MAKAI-SHOJOKEN too. 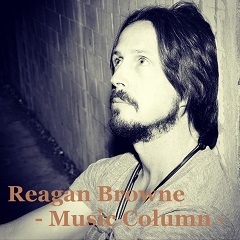 Thomas Lang had been pounding on the drums every single day since he landed in Tokyo, and you would imagine he’d be running out of gas by this time, but that didn’t stop the drum god by any chance. Thomas Lang showed a yet powerful and technical performance on his final night in Tokyo, again driving the audience into awe and applause. The following day, Thomas hopped onto his flight back to LA, to continue on with his upcoming projects. Thomas Lang definitely displayed to the fans and co-workers in Japan the definition of what a true professional musician is. 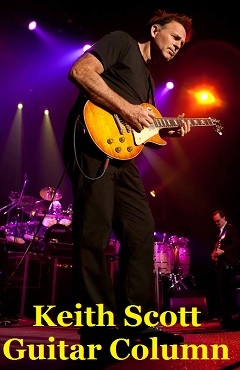 His preparations and approach to recording sessions, along with precise and high quality performances, technique, power and showmanship during live shows definitely prove him to be a top-notch musician in today’s music industry. It was also a great pleasure to see Thomas Lang keeping a very respectful manner to his co-workers, staff and fans in Japan at all times. A quality that shows Thomas to be not only a great musician, but a great human as well. SPARK7’s new album featuring Thomas Lang on drums, ISAO on guitar, Philip Bynoe on bass, and Kiyomi Ohtaka on organs, is scheduled to be released this coming fall. The album will also feature a very special guest guitarist to be announced shortly as well. Don’t forget to follow Thomas Lang and ISAO on Facebook for the latest news about SPARK7!